Dubai, UAE, January 2, 2018: An “EU - Saudi Arabia Energy Efficiency Meeting” taking place in conjunction with HVACR Expo Saudi (14-16 January 2018, Jeddah Centre for Forums & Events) will gather key decision makers and experts from both the European Union and Saudi Arabia. A high level “EU - Saudi Arabia Energy Efficiency Meeting” is taking place in Jeddah on January 14, 2018, under the initiative of the EU GCC Clean Energy Technology Network and the European Union Delegation to Saudi Arabia, with the participation of SASO (the Saudi Standards, Metrology and Quality Organization) and other Saudi entities. 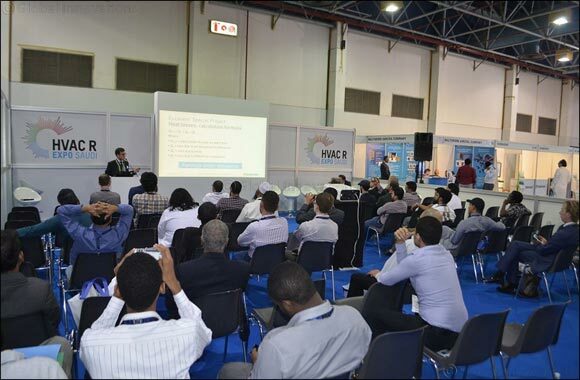 The event, organized in partnership with dmg events Middle East, Asia & Africa and Eurovent ME, is held in conjunction with HVACR Expo Saudi 2018 at the Jeddah Centre for Forums & Events. The meeting will address collaboration opportunities between Saudi Arabia and the European Union on HVAC standards, certification and labeling. Bringing together Saudi and European experts and decision makers, the “EU - Saudi Arabia Energy Efficiency Meeting” is expected to play a fundamental role in helping preserve the Kingdom’s wealth of energy resources and strengthen the national economy complementing the Saudi National energy efficiency program. Today, Saudi Arabia relies on liquid petroleum for approximately 60% of its electricity generation. Increase in electricity demand boosted by population growth and rising living standards is affecting the country’s oil export volume and earnings. With more than 70% of Saudi’s electricity being consumed for air conditioning and cooling, energy efficient HVACR solutions are key to achieve national growth in line with the Saudi Vision 2030. Running from 14 to 16 January 2018 at the Jeddah Centre for Forums & Events, HVACR Expo Saudi is Saudi Arabia’s largest dedicated indoor climate and refrigeration event. An unmissable platform for HVAC-R industry professionals to network, do business and discover new technologies and trends, HVACR Expo Saudi brings together the most innovative HVAC-R solutions and equipment from local and international manufacturers. Sponsored by Carrier, Samsung, Zamil, Midea, HH ShaShaker and Johnson Controls, the event is co-located with FM Expo Saudi and Saudi Clean Expo.